Linking with Sandra and Deidra this weekend. Join us for some stillness? I love the strength found here today! LOVE the faith of a determined woman! GO GIRL! YES!!! You just made me jump up [in my heart, at least] and be ready to fight for my Lord again and reject anything to do with Satan. Game on! With God's help the enemy is defeated once again. 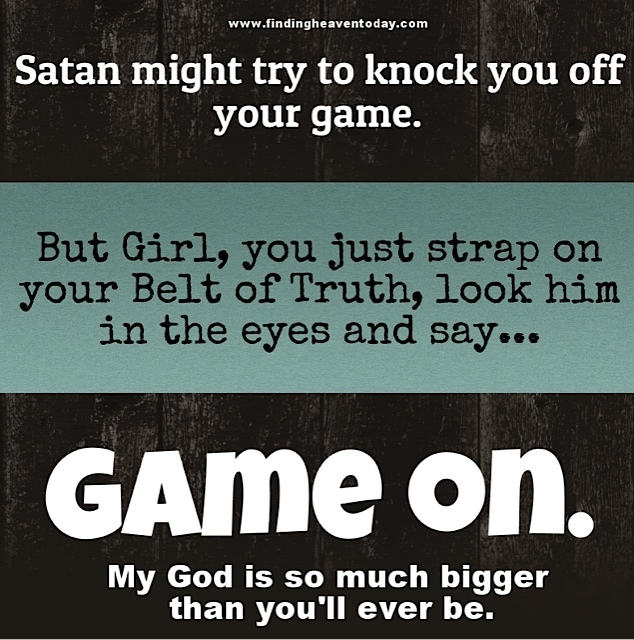 "My God is so big, so strong and so mighty, there's nothing my God cannot do..."
Game on! I love this!